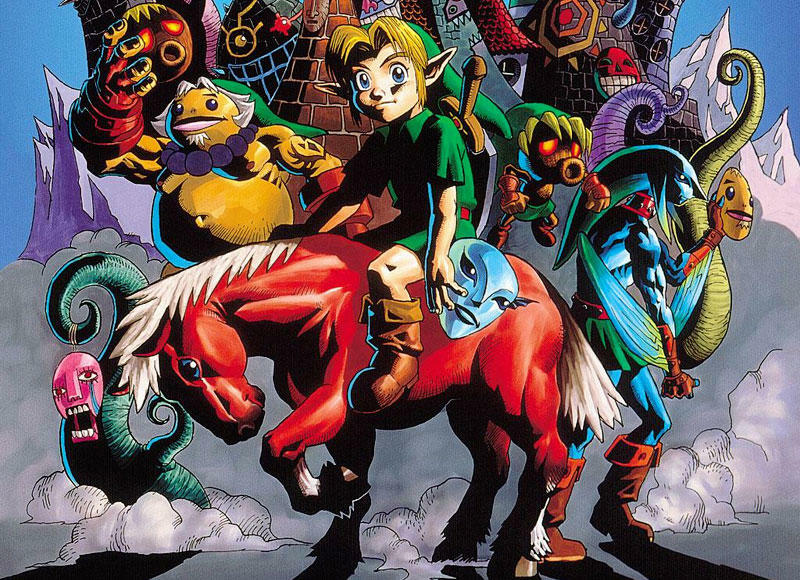 We all know by now that The Legend of Zelda: Majora's Mask 3D comes with several changes. Yes, it's a recreation of the original game; however, it arrives with a tweaked color palette, multiple fishing holes, a re-done Bomber's Notebook and more. One of those additional changes, a find teased out by Destructoid that I can personally confirm after playing the game a bit myself, is a few redesigned bosses. If you want to go into great detail about, in particular, Odolwa, the boss at the end of the Woodfall Temple, you can head to Destructoid in the source link below. They spent time with the game at PAX South, fought the boss and then dug up their old copy of Majora's Mask in order to compare battles. The bosses, according to the article from Destructoid, have been made a little less frustrating by removal of major, sweeping, tough to dodge attacks. Whether or not that applies to the entire game remains to be seen, but it appears that Nintendo took strides towards simplifying boss fights without dumbing them down too much. My time so far with Majora's Mask 3D has been enjoyable. While I can't comment on much before the review embargo lifts, I will say that the changes so far have been welcome ones. We'll have more on the game, including our review, as it comes. The Legend of Zelda: Majora's Mask 3D hits the Nintendo 3DS on Feb. 13, 2015. Stay tuned for more.